Drop off Kids go on Date Night!!! Includes bounce time, pizza, soda, and games. Mega Bash!!! 4 hour party! 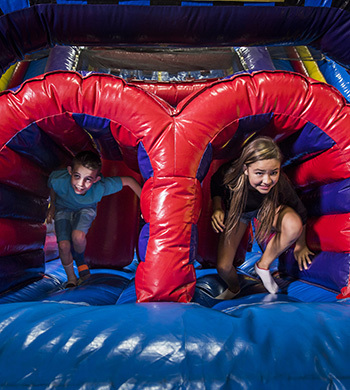 For those who wish to have a longer party with us at Pump It Up! Invite 18 or 24, it's your choice (ages 2-18 including birthday child). No substitutions or coupons may apply to this party.